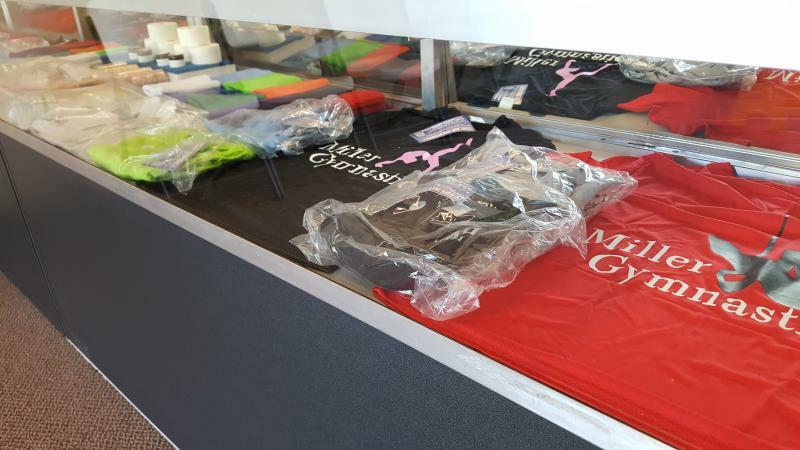 Pro-shop is open to the public and visiting clubs or gymnasts. All gymnasts and parents are welcome to come and see our proshop. Over 80 New leos are HERE! We are able to size you for grips. Beginner dowel grips as well as standard sizes. 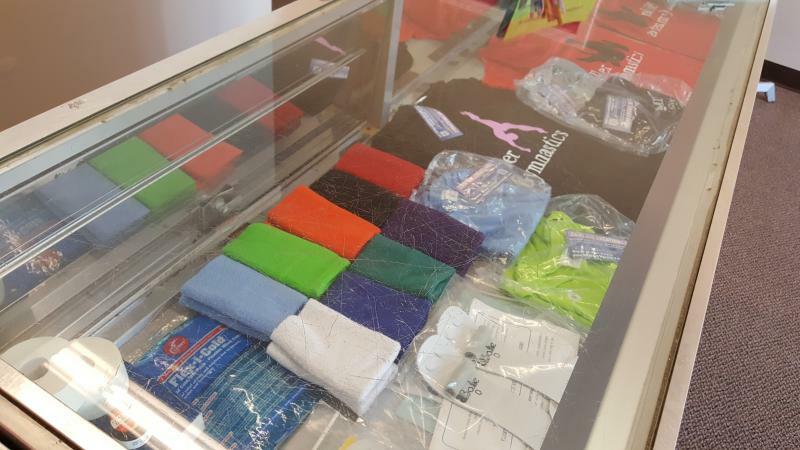 Miller Gymnastics T-shirts made with wicking material. New workout leos are coming soon! Copyright 2017-18 Miller Gymnastics. All rights reserved.